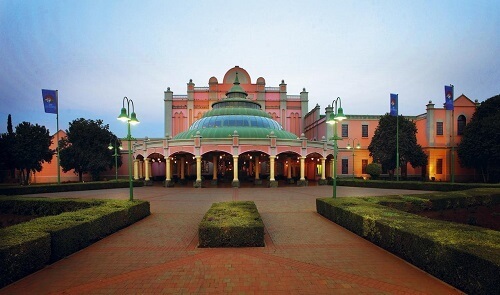 The North West province of South Africa is home to the Carousel Casino and Hotel. A subsidiary of the Sun International Group, Carousel Casino promises not only a top-notch gambling and entertainment experience, but a luxurious stay at their hotel. The Carousel Casino is very diverse, touching every aspect of entertainment. 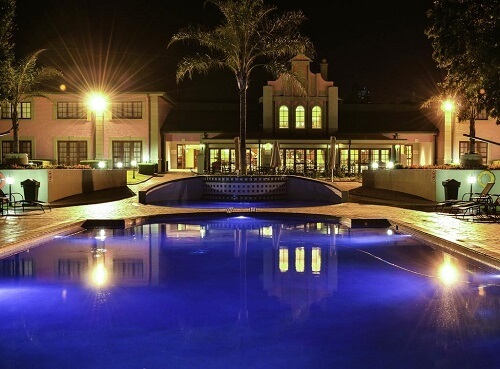 It hosts a number of great events on top of their in-house entertainment. There is something for everyone at the Carousel. This casino has a very accessible location which helps to attract more players, both local and international. The Carousel is famous for its multi-million Rand progressive jackpot pay outs. In fact, dozens of gamblers have won the million Rand pay outs offered. Carousel Casino provides top quality gambling entertainment with advanced technology. It is a cashless casino that accepts SmartCard technology and bank cards. There are 700 slot machines with various themed games, and some exclusive games. These range from the pop culture to the classic slot formats. They cater to a variety of pockets, with games available for both high and low pay outs. Wagering on these slots starts at 2 cents and reaches R100. Carousel Casino has 20 gaming tables including nine tables located in the smoking section. These games are blackjack, roulette, and poker. Furthermore, for the gambler that loves exclusivity, there is also the Crystal Club Prive which is accessed by Gold and Platinum Most Valued Guests (MVG) holders only. There are always promotions on offer at the Carousel Casino so check their website regularly to catch the excitement. For players that enjoy a cigar and drinks, the Carousel has a smoking lounge. It has a fully serviced bar and light snacks are also served there. There’s also the Cheyenne saloon, a American Western themed bar. Also, this bar host some of South Africa’s best musicians and performers. Stop by to enjoy a drink while listening to some great live music. Those looking to spend the night at the Carousel Casino, there is a four-star hotel where you can enjoy a night’s stay. The hotel has 57 hotel rooms, all kitted out with Victorian décor and modern amenities. They each have a beautiful relaxing view of the manicured gardens, encapsulating you in the relaxing feeling of nature. Whether you choose to do experience it on horseback or vehicle, the Carousel has an amazing nature reserve. Encounter various animals including giraffe, zebra, impala, and wildebeest. They also have a bird park with over 100 birds to marvel over. For those who want a relaxing time, the Shangilia Boutique Spa is where you should head. Get beauty treatments and massages in the idyllic settings of the Carousel. On the other hand, for those adrenaline junkies looking for some fun, there is the Smoking Aces Airsoft field and Rallystar course. Similar to paintball, airsoft is an exciting team-building exercise or just a great way to feel like an action star. You won’t find any other dedicated indoor airsoft field in Africa. Ever wanted to drive a rally car or experience the thrill of being in one? Well, Rallystar gives you the opportunity to feel like you are in the Dakar Rally. Furthermore, guests have the option of picking day or night driving. There’s also the Magic Company arcade where both children and adults can enjoy arcade games. The Carousel ensures that it is family-friendly by providing a creche to care for young children. Jolly Tots has loads of fun supervised activities for children to enjoy. For more on North West casino, read our comprehensive guide.